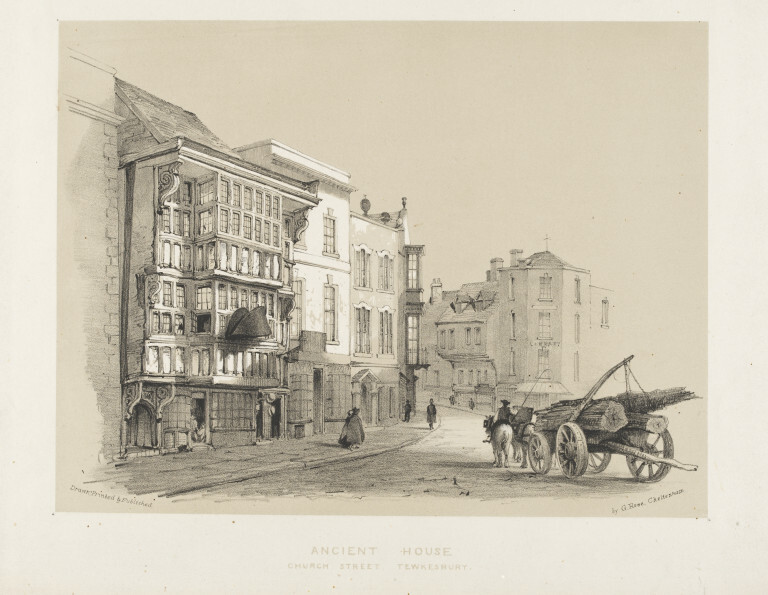 George Rowe drew and printed exceptionally important prints of buildings still present in Tewkesbury. 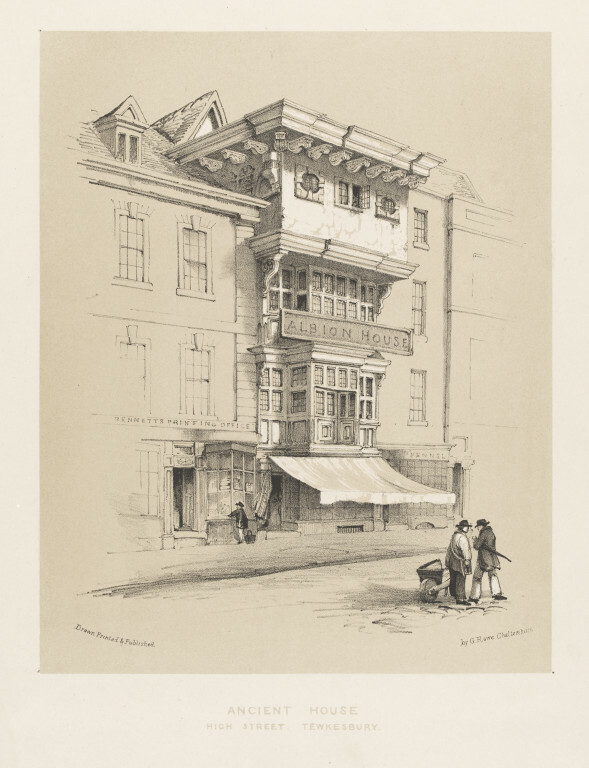 They give us an idea of the importance and condition of these old buildings before photography. That they were subjects at all tells us that some people in the early nineteenth century respected and marvelled at their heritage before it became fashionable. 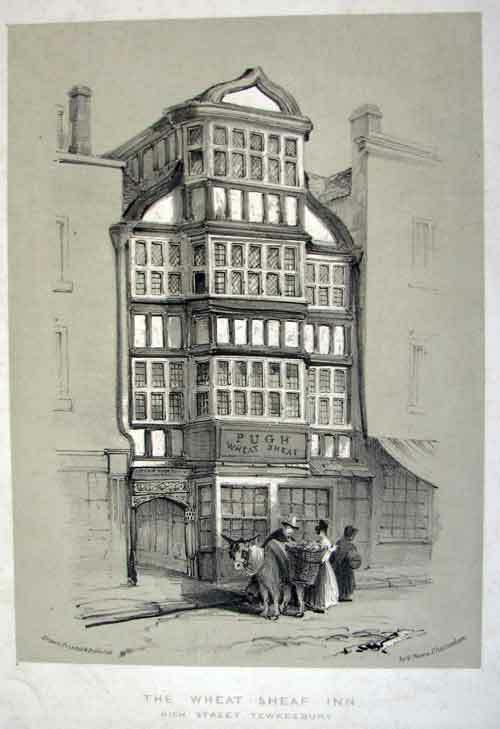 Publishing them widely for the curiosity of a paying public perhaps saved these buildings. We also have Thomas Collins to thank for their physical rescue and restoration and we can conjecture there were many in the town who treasured them. All these buildings were considered 'ancient' even in the 1830's and survivors from undocumented times. 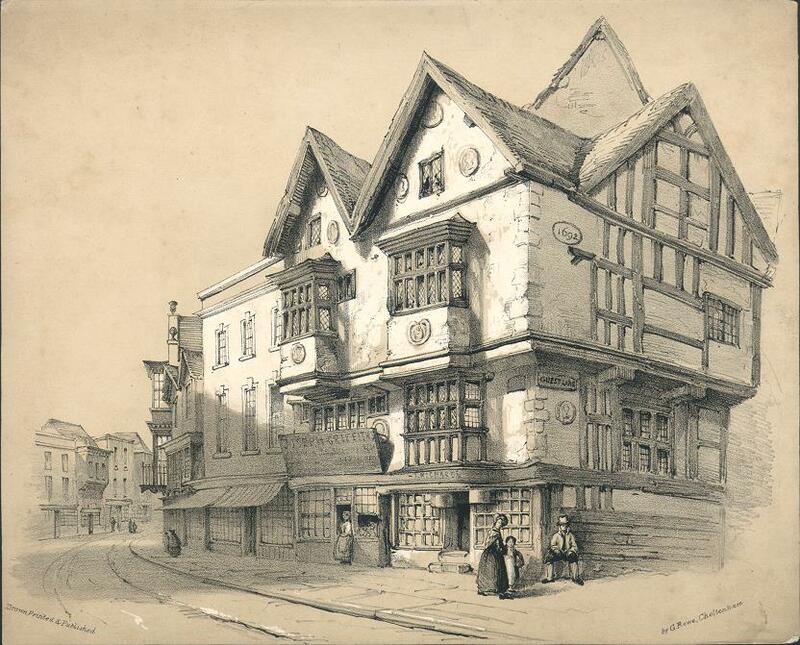 These prints are reproduced here but originals can be found in the Tewkesbury Museum in the Victorian Room. The article for this building is here.